The pendant (MP2453W/GBT) includes a 10mm Round Stone and 31pt Diamond. 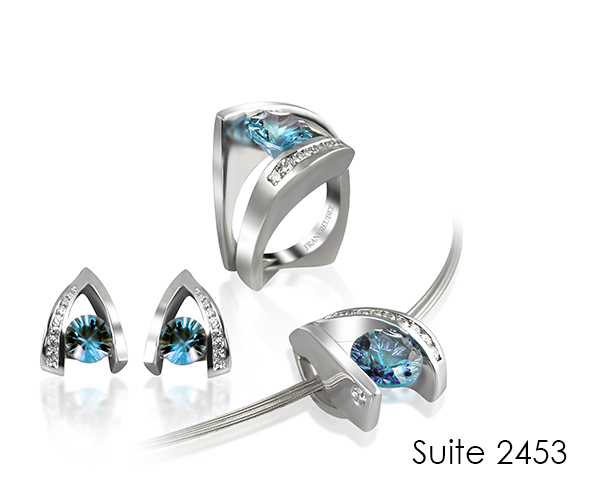 The earrings (ME2453W/GBT) include a 7mm Round Stone and 20pt Diamond in each earring. The ring (MR2453W/GBT) includes a 9mm Round Stone and 44pt Diamond.